Senecio (also called Tropical German Ivy) is a soft ivy and is not winter hardy like Hedera Helix Ivy, but it grows much faster and makes a great houseplant. 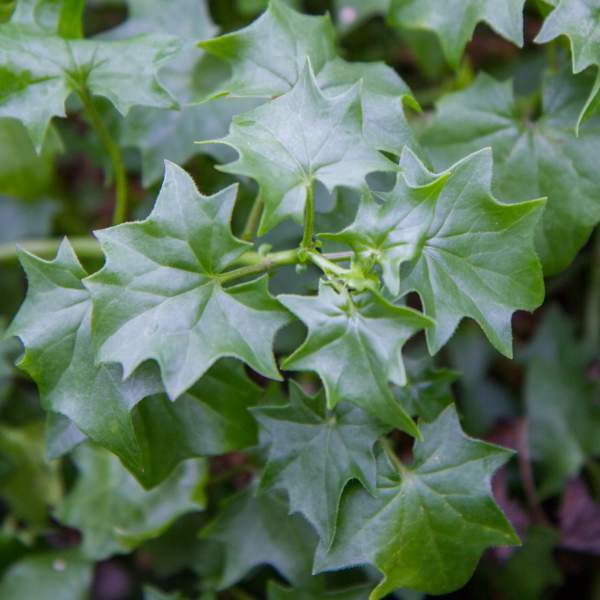 Tropical German Ivy will fill pots with rich, evergreen foliage. They work well in combination planters as cascading edge plants, as a standalone container or basket, or as a trellis/fence climber. For best results with Senecio Tropical German Ivy, we recommend using a constant-but-low feed program of 150 ppm N. Maintain a pH between 5.8 - 6.2. We recommend that you pinch Senecio 5-10 days after transplanting to your final container. They may require a second pinch to shape the plant for your final needs. Plant growth regulators are not recommended for Senecio Tropical German Ivy. Mealybugs are the biggest pest problems for Senecio. Senecio Tropical German Ivy is not prone to many diseases, but don't oversaturate the soil. If the plant sits in moist soil for an extended amount of time, you could end up with root rot or botrytis. Botrytis grey rot is usually associated with wet or humid conditions. You can prevent botrytis by allowing the plant to dry out between waterings, allowing for good airflow in your greenhouse, and spacing to allow the sun to penetrate to the soil level. The most common chemicals used to treat botrytis and root rot are Medallion and Banrot. Use them as a drench according to each label's instructions.